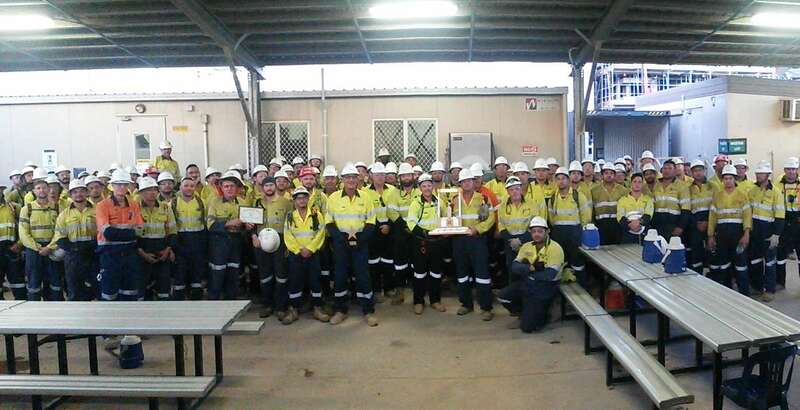 The MAS project team delivering some scaffolding works in the process and inlet areas of the onshore component of the INPEX-operated Ichthys LNG Project in Darwin, was recently awarded the Gold Standard Award for Safety Excellence by INPEX and JKC senior site managers. This achievement is recognised by onshore site management as setting a benchmark for safety on the project. It was noted that a major factor in receiving the Gold Standard Award was the continual high standard in relation to safety, quality, teamwork and the positive attitude shown by our workforce in a mostly high risk and demanding environment. The MAS team has recently achieved 1,168 days without a lost time injury (LTI) to any of our employees. Congratulations to the entire MAS project team for their continued commitment to safety whilst continuing to deliver their contribution to a successful project.